IMSpider hits 100,000 Caches ~ #4 in the world!! 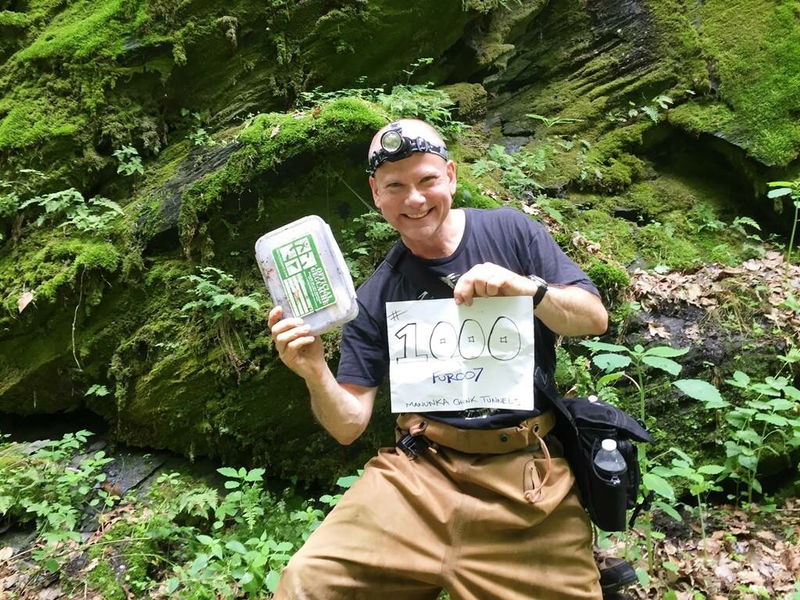 We Celebrated IMSpider's 100,000 cache find Saturday 5/6/17 at Camp Jefferson! On Sunday, November 05, 2006, IMSpider was simply hiking along the cliffs of Garret Mountain and stumbled upon a Geocache, quite by accident he found "The Whole 9 Yards" GCYMUP by Vanm. This first geocache intrigued him, and he has since continued, persevering 10+ years through rain, sleet and snow, finding 100,000 caches. On March, 3, 2010 An IMSpider 10,000 tribute cache was placed within Mountain Way Park to celebrate IMSpider's 10,000 cache milestone! In April 2017 IMSpider achieved an amazing geocache milestone, only a very few can geocachers worldwide will ever achieve, reaching 100,000 geocache finds! 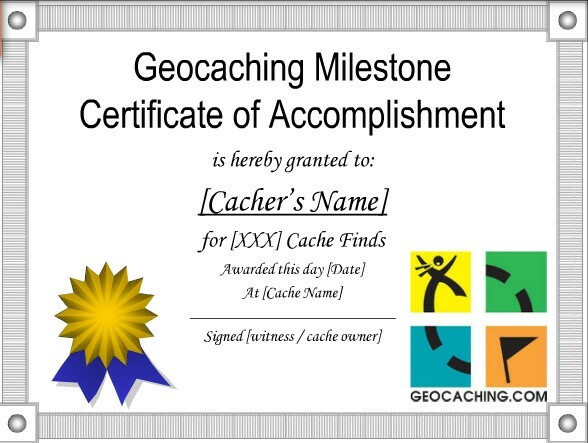 Send NNJC your Geocaching Milestone to be included in NNJC's wall of Accomplishment! WHERE WILL YOU GO FOR A MILESTONE CACHE? congratulations! 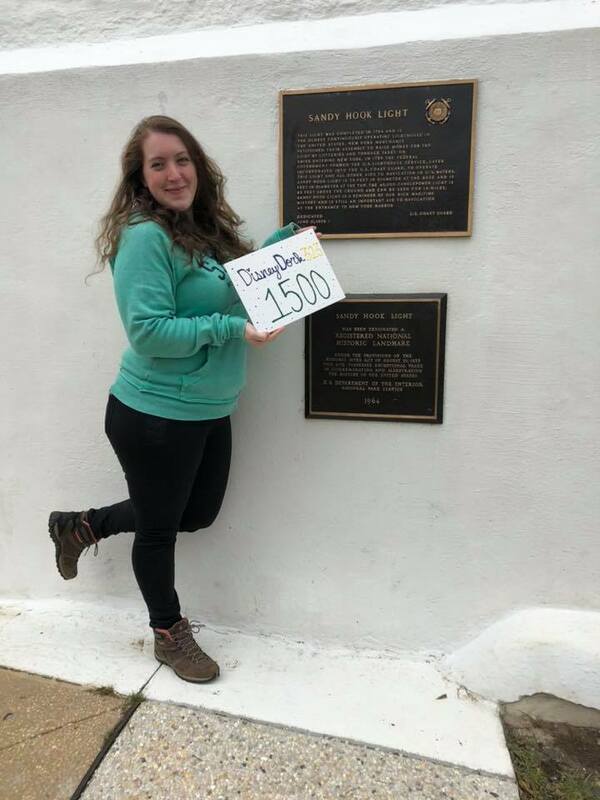 DT Lee's 4000th cache! The find was the Paddington Bear statue at the Paddington Railroad Station in London, England.The CO gave me a bottle of champagne & a certificate. LYNZIE IS UP A VERY TALL TREE ~ 1000TH FIND! 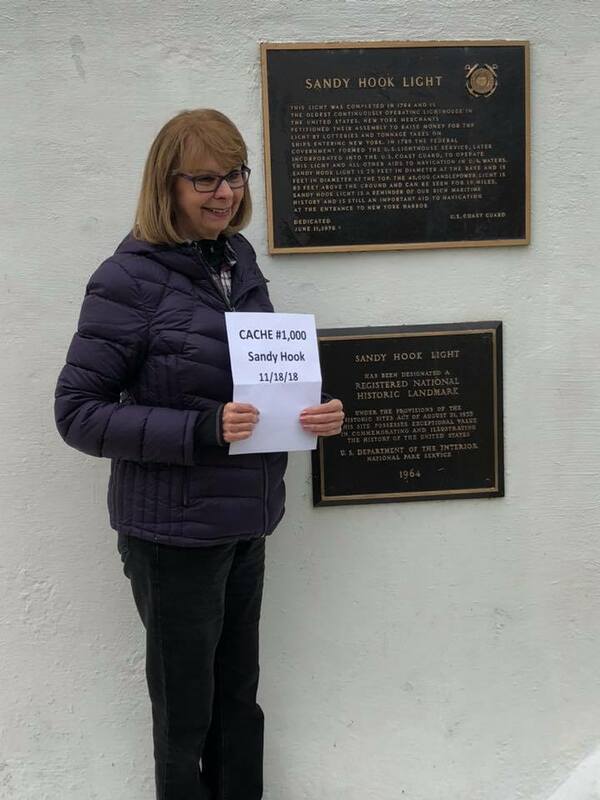 chris / Fur at Manunka Chunk Tunnels -congrats!